Even though the budget runs short, the work remains. This is a concept ranchers know all-too-well. And while the Montana State Animal Diagnostic Lab has suffered from budget shortages in recent years, public funding will help keep the program afloat for at least two years. In HB 2, the legislature’s General Appropriations Act, financing is meted out for the disease lab. Don Reiger, Ismay rancher, said the lab had been dealing with budget shortfalls in recent years, due in part to ramped-up disease problems caused by federally-managed wildlife. 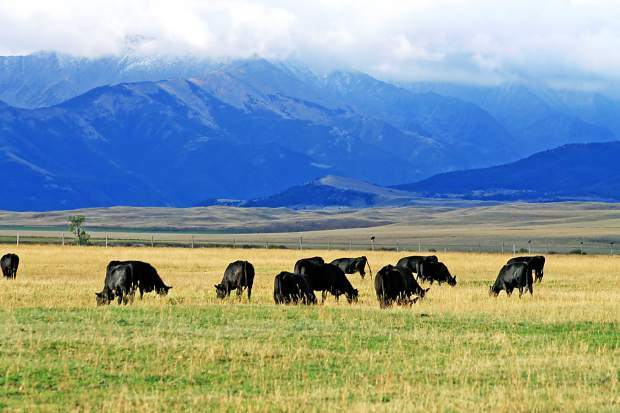 A “Designated Surveillance Area” was created by the state in response to USDA-APHIS’s call for extra attention to disease concerns around Yellowstone, Montana Stockgrowers Association executive vice president Errol Rice said. The DSA is funded with state and federal dollars and helps reimburse ranchers for the cost of added requirements including management plans and regular testing. But the additional work the DSA creates for the state laboratory is expensive too, and has been draining the lab budget, Rice explained. Reiger said vaccinating buffalo for brucellosis would help manage the problem. “When they go to testing those livestock it comes with a huge expense to the operator. The program has been covering that cost,” he explained. But the budget hasn’t been equipped to handle the financial burden of the added testing so the state diagnostic lab had been relying on more of the Montana Department of Livestock’s funding than usual, said department director Christian Mackay. The department is funded by per capita assessments collected from livestock owners statewide as well as brand ownership fees and brand inspection fees. Historically the lab has been funded mostly by a portion of the per-capita livestock fees collected from livestock owners. Some general fund money is used to round out the budget, but the level of public funding has ebbed ad flowed in recent decades, said Mackay. “Back in the ‘80s and early ‘90s, the general fund provided as much as 45 percent of the overall laboratory budget,” He said. Financing from the state’s general fund dropped to levels as low as five percent after that and currently sits at about 12 percent, with the remaining 88 percent of the lab being supported by the state livestock tax. In contrast to many diagnostic labs in the region, Montana’s is not affiliated with the university, so it does not receive public funds through a university budget, like the labs in neighboring states. A July, 2014 Tri-State Livestock News story, reported that producers were disgruntled with the transfer of funds from the department of livestock to the lab. Important programs like predator control and brand inspection were suffering because the lab was pulling funding away from those programs. Even after a brand inspection fee hike, some brand inspectors had to be let go in order to balance the department’s budget a couple years ago, according to Montana Farm Bureau Federation vice president of governmental affairs, John Youngberg in the earlier TSLN story. This was not well received by the producers who fund the program. Reiger said there “is a little bit of a management problem” in the department, contributing to the financial woes, but he blamed the roaming, un-vaccinated buffalo and elk for the bulk of the budget shortfall. Mackay explained that state livestock industry groups joined forces with the department this spring to bring a united message to the governor and legislature. “We told them, ‘Look, 41 percent of tests we do are for zoonotic diseases that have a public component to them. So the general public of Montana should be responsible for 41 percent of the budget.’” Mackay said after a few hiccups through the legislative process, it appears the funding will remain a part of the state appropriations bill. There are many zoonotic diseases the lab deals with but some of the most common are rabies, brucellosis, bovine TB and anthrax, Mackay said. Because more of the lab will now be financed through the public coffers, the livestock department will have available more of their intended resources. Mackay said many jobs were cut in an effort to balance the budget in recent years. Some positions will be filled again, some not. “I expect to restore some of the full-time market brand inspector positions,” he said.